Tyler Perry has built an empire with success from his movies and plays. I’m not a fan of either but noticed how women are his target audience. I personally feel you either love him or hate him as a writer and director. Although I would never knock someone from his success, what is it about his films that his fans love? I’m forced to watch every Tyler Perry production due to my wife’s passion for his movies. So far I’ve only enjoyed two of them. I would easily recommend the two films I like to anyone. Daddy’s Little Girls and Why Did I Get Married Too? Daddy’s Little Girls is a film that’s finally from the male perspective, and goes against all stereotypes that black men from the hood are deadbeat fathers. It proves that there are some fathers from lower income communities that will do anything for their children. Why Did I Get Married Too? seemed like a marriage therapy session. Different couples facing different obstacles in order to save their relationships. The twist to each couple’s issues made this film a good watch for me. Now his plays are slightly different than his films, I believe there is a lot more humor in his plays but I can’t handle all the singing. I’ve managed to watch a few of his plays and didn’t like them. They weren’t bad to watch but not something I’m sure I will view again anytime soon. On November 5th I will be forced to watch his upcoming film For Colored Girls. His new movie appears to be another chick flick but I’m hoping it will be one I can enjoy. I decided to ask a few black women (who I happen to know are huge fans of Mr. Perry) a few questions. I wanted them to voice their opinions and express what is it about his films that I’m not understanding or appreciating. Not only me but the rest of the world could probably use a better understanding. When I read some reviews online about Tyler Perry, it frustrates me to see that some reviewers never give him a chance. They automatically give his movies the worst rating possible. Now if you view one of his films and honestly don’t like it, then I can accept that. Everyone is entitled to their own opinion and everyone has different tastes. For my interview I spoke to four women. I decided to group the women with two separate groups of questions. I now leave the floor to Naseen, Sadie, Wanda and my wife Debra. Q. 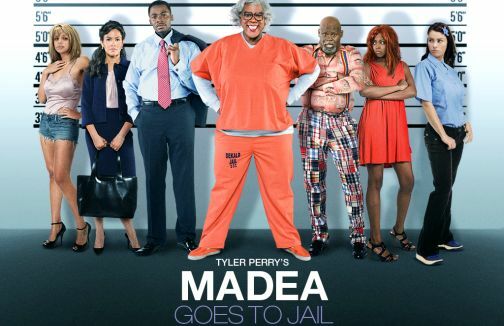 Do you prefer Tyler Perry’s motion pictures or his plays? Sadie:To be honest I love both. I like the fact that the plays are just as good as the movies. Wanda: I began to notice him in his plays and I feel that you can feel the connection in the plays especially when they are singing a song pertaining to a situations in a scene, and when it’s the right song everyone feels it. Q. Would any other race or gender be able to relate to his movies? Why? Sadie: Yes, I believe all races can relate to his movies. Tyler Perry gives real life situations in all his plays and movies. NO matter the race we all have the same issues in life. Wanda: Tyler Perry movies are based on everyday life situations and all races and genders can relate, if anyone has been in a relationship I think they have had or at least went through an experience that they can relate to in the movie or plays. Q. What’s the most memorable scene in a Tyler Perry movie that you will never forget? Sadie: I would say in his first movie the Diary of a Mad Black Woman when Madea went into the house and started tearing up clothes and cutting furniture and when she said “No wire hangers,” I will never forget that scene. Wanda: In Diary of a Mad Black Woman, I have two great scenes I hate and love. When he threw his wife out of the house, I was shocked and awed! This happens everyday, sad to say, but the way he put her out there with the hollering and screaming and begging how can a husband treat a wife like he did?